Don Garrard Interview with Bruce Duffie . . . . . . There are many words that can be used to describe bass Don Garrard: dignified, authoritative, sensitive, commanding, intelligent. But perhaps the most appropriate word might be versatile. He has appeared in operas both old and new in England, Canada, and America, and he is the winner of the Queen’s Jubilee Medal. During the course of our chat, he mentioned that his next role, Massenet’s Don Quichotte, would be number 106. Mr. Garrard will be presenting one of these roles in Montreal this month – King Marke in Wagner’s Tristan und Isolde. (Performances are February 11, 14, 17, 22, 26 and March 1). Just a few weeks ago, it was my great pleasure to have a conversation with this most interesting artist. He was pleased, if a bit surprised, to do an interview, and we spent a bit more than an hour discussing a range of musical topics. In San Diego to perform Prince Gremin in Eugene Onegin, on the day of our appointment he had just returned from taking his young son to Sea World, and that is where we began…..
Bruce Duffie: What’s it like being the father of an 8 year old and telling your son you’re an opera singer? Don Garrard: They don’t really know how to cope with it, and I think that now and then they have difficulty persuading their friends at school what it means. It doesn’t relate the way being a pop singer would. BD: Do you ever find yourself being equated in their minds with some of the pop idols around these days? DG: Well, not really, but from a very young age – about 3 perhaps – he was coming and sitting through the whole of The Magic Flute which is a long opera. It has a lot for children, but it’s pretty cerebral, too. BD: If he comes to your performances, can he separate you in person from you on the stage? DG: I hope he can. I often wonder… We are distanced since I am an older father, but I think he can relate and keep the two partitioned. My own father died when I was five, so there’s a gap there, also. I suspect one tries to put more in knowing one didn’t have a father oneself. BD: You play a number of fathers on the stage. Does all this have any input into your portrayals? DG: Not really. We deal with what we’re given, and if we try to exceed that we run into difficulties. Basses play mostly high-priests and gods, and I should think that today it’s even harder to identify with those than with, say, Daland in The Flying Dutchman. BD: If it’s harder for you to identify with them, do you go to extra lengths to bring them across on the stage? DG: No, I don’t think so. I mention that as a kind of qualification from the point of view of interpretation. In a role like Boris Godounov, you can spend months and years studying all the Czarist tradition, and know all the historical ramifications of how Boris came to the throne. It’s not necessarily going to be very advantageous when you get up on the stage because of the libretto you’re given to sing. BD: When you’re on the stage, do you become the character, or are you performing a character? DG: It depends on the depth of the character, but I try to become it. I started as an actor in this business. I was a boy-soprano in church in Vancouver, but when the voice changed I did straight acting. Then, when I was maybe 17 or 18, I did musical comedy in the local theater there, which used to be very good. I was studying serious voice at the same time, and got into opera in my early 20’s. I think the turnabout came when I went to the Academy in Santa Barbara and worked with John Charles Thomas and Lotte Lehmann. I was in Lehmann’s lieder classes, and took voice lessons from Thomas. That was in 1951. It was quite a combination – very opposite personalities – but somehow it worked for us. I followed that by going to the Royal Conservatory of Music in Toronto, and I won various things and eventually set off for Italy. The rest, as they say, is history. BD: Let me ask about a few of your roles, the Wagner ones in particular. DG: My focus has been the Ring. I started with Daland and have done Hunding here and there. I’ve also done Marke, but I’ve not done the other “main” bass roles. What I have concentrated on is Wotan. BD: OK. What kind of character is he? DG: Wotan is probably by far the most multi-dimensional character that one can discover in opera insofar as he is not only a God, but a human with all the frailties that are concomitant with that. As such, he runs the gamut from A to Z. As to input (character-wise), you can study him for a lifetime. I don’t know any character in opera which is more fascinating and probably more misunderstood for that very reason – the complexity. BD: Misunderstood by the public? DG: Yes, and often by the performer, too. It depends on which approach you take to him. To start with, in Rheingold he comes in and initially he’s happy because Valhalla is built. So he’s in a good mood. Suddenly, Fricka reminds him of all the things he’s done wrong and starts to nag him. He gets angry and truculent. BD: Is he angry at her, or at himself for getting into the mess? DG: Both. You may say that’s difficult to project onstage, and indeed it is. And from there on, the audience never seems to catch up with where he’s going. Well, he’s not going anywhere. All he’s doing is surviving, and in the process trying to achieve his hopes and dreams like any normal human being – or in this case, a God as well. But during this whole process, it’s very confusing. The whole thing seems to be lowered to a much more conventional plane from what one expects from that incredible opening music. BD: Is it Wagner who has lowered the expectation? DG: No. He’s trying to be, in his way, brutally truthful, particularly where his characters are involved. This is only my opinion, you understand, but I think he is trying to balance good and evil. It’s the old story which goes on forever. BD: Does he manage to do it finally? DG: I think so. It all comes out in the end. Everyone gets their just desserts. The good guys don’t necessarily win, neither do the bad guys. There is a sort of a balance about the whole thing. BD: How do you see the end of the cycle, the finale of Götterdämmerung? BD: Would it be wrong for a stage-director to demand your presence in, say, the scene where Waltraute is telling Brünnhilde about Wotan sitting at the table waiting for his destruction? DG: Why? I ask that because what possible input could the long-gone Wotan have at that point? As far as the audience is concerned, he is only a memory – a strong one, of course, and his leitmotiv goes on. But he is a memory, or a theme if you like which transcends the actual dimensions and proportions. I take your point, but I don’t see what could be gotten out of that, frankly. BD: So, as far as the audience is concerned, he dies when Siegfried breaks his spear? DG: No, he just goes away. The farewell music there is the most poignant in all of Wagner’s music. BD: Can you ascribe an age to Wotan? DG: (hesitating) Yes, but roughly. In the beginning of the cycle, he is young and exuberant. He is low in cunning and wisdom and gains this during the course of events through the cycle. He learns to disguise himself, not to hide his identity from Siegfried, but as a kind of apology almost. It’s a feeling of not really being there – he is and he isn’t, again toward the metaphysical. It’s so complex. You can spend weeks just discussing the leitmotivs and their relevance to one another. I find it fascinating, but, as I say, it’s a life’s study. BD: Do you go back and read the letters and writings of Wagner as well as just the scores and libretti? DG: I have done, but I don’t think there’s a lot there. The separation between the man and his music, in this instance, was quite considerable. BD: Have you done the Ring in both English and German? DG: I’ve only done it in English, both in England and in Seattle. BD: In this or any opera, do you find a closer communication with the audience when you’ve sung a line and know that they’ve comprehended it? DG: Yes, and especially in the Ring which is so complicated. The translation by Andrew Porter does make a difference. Having said that, I think that the new trend toward using “supertitles” is a tremendous boon to opera. It is revolutionizing opera. Even I, when I’m seeing something that I’m not too familiar with, need assistance with what’s going on because I can’t always follow it. So, what about the layman? You can’t tell him to read the translation in the program because the lights are out in the theater, and you can’t have little flashlights all over the place. So the end result is that he or she reads a bit of it before and at the interval, and grasps generally what is going on, but not necessarily. To me, this is a great loss. BD: Will the “supertitles” spell the death of opera-in-translation? DG: No, I don’t think so. It remains to be seen, but I wouldn’t have thought so. There is a lot of opera that translates well – particularly Mozart. BD: Does Mozart work in English better than Wagner? DG: Oh yes. The Wagner is much more complicated and much more intense. Mozart seems to lend itself better, I feel. BD: Let me move to another of your Wagner characters – Daland. Is he a simpler role to portray? DG: Oh yes, much more basic. He’s loveable; a basic Norwegian sea captain who comes afoul of a very peculiar man who wants to marry his daughter, and has all kinds of money. BD: He’s not overly mercenary, is he? DG: No. Given the time-slot of where it is supposed to have happened, I don’t think so, any more than Rocco in Fidelio. I always equate those two, oddly enough. Both of those roles I’ve done many, many times, but they’re similar only in one sense: it’s not the money so much as they’re both borderline buffo. They each have that aspect of the character which is almost buffo, but not quite, fortunately. BD: So they are happy-go-lucky fathers, but not buffoons. DG: Right. They lean towards it, especially where money is concerned. BD: But Daland wouldn’t have sold his daughter to some idiot just for money, would he? DG: No. Rocco redeems himself at the end by blowing the whistle, so to speak, on Pizzaro, but Daland is a bit more straight-forward. He is a bit more presentable, but then he sees this weird figure of the Dutchman. As you suggest, Daland wouldn’t give his daughter away to just anybody, but the stranger who arrives is really peculiar and seems to be have extraordinary powers as well as a lot of money. BD: The money at least makes Daland look twice at this weirdo. DG: Exactly. That’s my point. It pushes him over the edge and thereby hangs the tale. But, again, one can look at it so many ways. BD: Daland can see that his daughter is reasonably happy with the stranger – at least she doesn’t put up any protest. DG: Yes, but Daland is concerned with her safety and her security – as indeed I suppose all fathers were in those days – and can’t quite fathom the depths of this stranger. And there’s this fixation of Senta’s with the portrait which he can’t quite understand. He’s a simple sea captain and this weird sailor comes into his life with haunted figures on his decks, and he comes through the storm without any damage to his ship; that is a shock to Daland. Then he comes onto Daland’s deck and throws a great chest of diamonds and rubies in front of him and offers it all to Daland if he can take his daughter, and that is another shock. BD: Do you prefer doing the opera in one act or three? DG: Definitely three. From Daland’s point of view, it’s not such a heavy role. From the Dutchman’s, it’s virtually a killer if you do it in one. BD: Do you want to do the title role? DG: Yes, indeed. There’s a character who is absolutely fascinating, like Wotan; not quite as complicated, but a wonderful character. I think I could sing it, and that’s not something I just say. People think that because I’ve sung Wotan I can sing anything, and I can’t. I wouldn’t want to do Hans Sachs, even though other basses who are older and wiser and deeper have sung it. I had a go at the part and spent two or three months trying to learn it and just couldn’t do it. BD: Have you done another role in Meistersinger? DG: No. I’ve just missed doing Pogner three or four times. It just didn’t work out for one reason or another. I’ve done 105 roles – which is more than most people I know – and those are strictly opera, and doesn’t count oratorios and other things. BD: Another of your Wagner roles is King Marke. What kind of guy is he? DG: He is most of all of a man of integrity, I think. He has a high moral virtue, which is why he commands the trust and respect that he does, and why he is devastated by Tristan’s actions. That is why he reacts so violently. BD: Can he really forgive Tristan eventually? BD: Could he have been happy with Isolde if she hadn’t gone off with Tristan – with the age difference and everything? DG: That we’ll never know, will we? There might be another Tristan around the corner – or another Isolde! Some of these guys are getting around these days! BD: Is there any other Wagner among those 105 roles? DG: No. I hope to do Henry in Lohengrin. I’m not interested in the Landgrave in Tannhäuser, but I almost got a crack at King Henry and I might do it yet. BD: What is it about a part like that that intrigues you? DG: The way it lies vocally, but that doesn’t always necessarily come first. Sometimes it’s the character – as in the case of Sachs or the Dutchman. In this case, though, I like the way the music lies for the voice. It’s a good stentorian thing. It’s not easy, but it’s a distinctive role. It stands out. It’s the sort of role I’ve done most of my life, and the kind of role I like doing. It has a kind of nobility to it. Reginald Goodall, who’s finally being recognized, once asked me to do Gurnemanz in Parsifal. [See my interview with Reginald Goodall.] He said I had the perfect voice for it, but I didn’t agree. The very thought of learning it made me weary. It must be the longest role ever written. It makes Sachs looks small. What a wonderful role, but I think I’ll give that one a miss. BD: The commentators say that it was written well, though, for the voice. Whereas Wotan and Brünnhilde and especially Siegfried were written as heroic parts, Gurnemanz, even though it is terribly long, was written with knowledge of what the voice could and could not do. DG: I would agree with that. But I’ve got 105 roles already, and even now I’m learning new ones. What I complain of is that the computer, the memory-bank seems to be full. It’s more difficult to retain what’s assimilated, and I have to keep refreshing it much more often. A role used to stay with me for about two years and I could just pick it up and it was there during that time. Now, it has to be re-learned. BD: Are there any roles that you didn’t enjoy – enough that you would decline ever doing them again? DG: Yes, mostly the modern ones. I’m a traditional romanticist. BD: I was afraid you were going to say that! But let me ask you – where is opera going today? DG: Well, I think it’s going only up. It’s going exceedingly well. I don’t have figures to quote for you, but I would think it’s having a boom, really. BD: But is it going to survive if we don’t get new operas that manage to become popular? DG: Well, that’s very difficult, of course. Obviously, composers had better keep trying but they’d better keep trying with something a little bit more than most of them are doing, which is either rehashing what’s already been done, or desperately searching for new ways or roads or paths to conquer only in order to avoid the past. I think we’ve proved, basically, that there is a limit to it. These kinds of things might be for a very tiny minority who want that sort of sound and want their plants to wilt and die, but harmonically, for animals, birds, plants, or people, it’s not conducive to well-being or constructive objectivity. It is negativism, what I call “mindless irrelevance.” I told that to a young friend of mine who listens to hard rock all the time and she never quite recovered. Maybe it was a bit cruel, but that’s what it is. BD: But the words you are saying have been ascribed to many others – including Wagner! DG: Of course. But 100 years from now there will be many new generations that have acclimatized to it, and maybe for them these new things will be as Mozart is to us. But we can only speak from where we are. I know where I stand, and there are things I just don’t care to do. There are many things which are comparatively new that I enjoy, but others I will just avoid, thank you. BD: Can I assume you enjoy singing? DG: Oh yes, it’s my life. That’s all I can put on my epitaph. BD: Do you ever want to do any teaching? DG: I do a bit of that, and I very much want to. I have the highest regard for it because I’ve been very lucky and had the greatest teachers. I didn’t always luck out in other departments, but I certainly did as far as teachers are concerned. I’ve had some of the greatest a man could wish for. BD: I’ve often wondered – is singing something that really can be taught, or is it something you must be born with? DG: I think it can be taught. Definitely. There is an element of the gift, of talent, of something in the genes that comes down through the generations, but it can be taught – and mostly is, up to a point. Then one embarks upon an extraordinary world of luck and chance and a thousand other things. All things being equal, you just might do it. Talent has very little to do with it, but you’re expected to have it when you get there. You asked earlier where opera was going, and I can only repeat what I’ve been saying for 30 years – it’s a question of priorities in the arts. If we want it, we’ll find a way of doing it and supporting it; if we don’t, we won’t. It’s as simple as that, basically. What it all comes down to is funding. BD: Is opera too expensive today? DG: Probably. Whether you consider it one of the highest art forms or not is irrelevant. It is expensive, one of the most expensive. I don’t think it has to be. There are people who use it and abuse it. They try it a bit for fun, and then go on to something else. People spend a lot of money recklessly, and then say, “Oh, it didn’t work. What a pity.” I’ll ask you this: Do we need it? I don’t know. BD: Well, let me throw it back at you. Do you feel opera is the highest art form? DG: I think it’s one of the highest. I can’t state that it is the highest. I think they’re all up there. Architecture is pretty high on the list, as is theater and straight drama. They’re all on a par. Opera is the most grandiose from the spectacle point of view. Actors who go to opera are fascinated by another medium – different approach, different timing, different structure, different dimensions to deal with. BD: Is opera more character than music? DG: No, I think ideally the two should be balanced, and if you must lean to one you should lean to the music. You’re marrying two great mediums, and if you do it right, the effect should be there. Maybe that is what fascinates actors. It fascinates me that it fascinates actors. It’s that extra dimension. BD: Thank you for spending the time with me this afternoon. DG: It’s been a pleasure. Bruce Duffie has been a regular contributor to Wagner News since 1980. In the next issue, a conversation with soprano Rose Bampton. And don’t forget – the next issue of Nit & Wit Magazine (dated March/April) will have his interview with Daniel Barenboim. Much of the material deals with Tristan und Isolde, and Wagner in general. Don (Donald) Garrard. Bass, b Vancouver 31 Jul 1929. He was a voice pupil of Glyndwr Jones in Vancouver and a semi-finalist in the CBC's 'Singing Stars of Tomorrow' when his interest in a career as a singer was strongly encouraged at a 1951 summer workshop with Lotte Lehman and John Charles Thomas in Santa Barbara, Cal. The following year (February 22) he made his COC debut as the Speaker in The Magic Flute and won a leading role in the premiere of Dolores Claman's Timber!! at Vancouver's TUTS. He undertook a sustained course of study 1952-7 at the Royal Cons Opera School (University of Toronto Opera Division) with George Lambert, Nicholas Goldschmidt, and others. (He later studied abroad with Luigi Borgonovo and George Cunelli). On 14 May 1953 for the CBC he sang the title role in the first full-length TV production of Don Giovanni (this also was the first production of any complete opera on TV in North America). 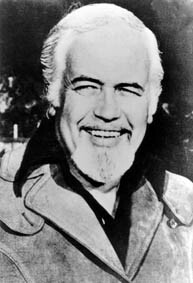 He won the 'Singing Stars of Tomorrow' in 1953 and 'Nos Futures Étoiles' in 1954 and continued to appear with the COC, as Don Giovanni (1956, 1963), Billy Bigelow in Carousel (1957), The King of Nowhere in The Love of Three Oranges (1959), Ramfis in Aida (1963, 1972), Padre Guardiano in La Forza del Destino (1969), Méphisto in Faust (1970), Hunding in Die Walküre (1971), Boris Godunov (1974), Daland in The Flying Dutchman (1981), Banquo in Macbeth (1986), and the Grand Inquisitor in Don Carlos (1988). He also sang the title role in Handel's Solomon in a 1972 performance by the Toronto Mendelssohn Choir and the NACO at Massey Hall, Toronto. Garrard joined Sadler's Wells as principal bass in 1961, enjoying great personal success in Pizzetti's Murder in the Cathedral (1962), as Sarastro in The Magic Flute, as Ferrando in The Thieving Magpie, as Sparafucile in Rigoletto, and as Méphisto in Faust. He made his debut at the Royal Opera, Covent Garden, in 1970 as Ferrando in Il Trovatore. He has appeared also at the Aldeburgh Festival (as the Abbot in the premiere of Britten's Curlew River in 1964), at the Glyndebourne Festival (in 1965 as Rochefort in Anna Bolena and in 1966 in Handel's Jephtha), at the Hamburg State Opera (1968), the Scottish Opera (Boris Godunov 1968), and the Welsh National Opera (Aida 1970), and in Washington as Wotan in Die Walküre (1975). He sang Trulove for the first recording (1964) of Stravinsky's The Rake's Progress. He was Sarastro at the NAC in Festival Canada's production of The Magic Flute in 1977 (see Festival Ottawa). He was Wotan in the Seattle Opera's production of the entire Der Ring des Nibelungen (1980) and sang with the San Diego and Palm Beach Operas as Prince Gremin in Eugene Onegin and as Zaccaria in Nabucco, both in 1985. With his commanding presence, his keen theatrical sense, and a voice both substantial and flexible Garrard has become respected on both sides of the Atlantic for his effectiveness in the whole range of operatic roles for bass. After his 1988 performance of Verdi's Requiem with the Toronto Mendelssohn Choir, critic Peter Mose wrote 'Garrard's was the voice of the wisest, ripest eminence' (Toronto Star 11 May 1988). Garrard was resident 1961-85 in England but continued to appear in Canada with the COC, in recital, and on CBC radio and TV. In 1989 he moved from Canada to South Africa where he has sung King Heinrich in Lohengrin, Rocco in Fidelio, and Philip II in Don Carlos, appeared in concerts, and given masterclasses. He has been heard on the BBC, RAI (Italy) and PBS networks. This interview was recorded on the telephone on October 28, 1985. This transcription was made and published in Wagner News in March, 1986; it was slightly re-edited and posted on this website in 2009.